This promotion is only open to Eligible Participants. An Eligible Participant is a person who is aged 18 years or over. British Airways (BA) reserves the right to verify the eligibility of Eligible Participants. By taking part in this promotion, Eligible Participants confirm that they accept the terms and conditions set out below. Limited availability of flights at sale prices. 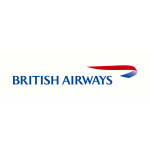 All promotional fares quoted are from the departure airports stated in the booking and are based on the lowest available price available at this time on ba.com. When viewing fares from departure point ‘London (All)’, the lowest available fare for any one of all the included London Airports will be shown. Advertised sale prices discounted from lowest price available in the 29 days before 30 August 2017. Prices include all taxes, fees and carrier charges, correct as of 22 August 2017. All prices valid from London Heathrow and London Gatwick airports. Flights to all destinations must be booked between 12:00 BST 31 August 2017 and 23:59 BST 26 September 2017.
a. Travel in Euro Traveller from London Gatwick to Lanzarote, Dubrovnik, Funchal, Fuerteventura, Malta, Paphos and Tenerife is available for selected outbound travel dates between 12 November 2017 and 8 July 2018.
b. Travel in World Traveller and World Traveller Plus from London Gatwick to Barbados, Antigua, St Kitts, Tobago, St Lucia, Grenada, Providenciales, Port of Spain, Punta Cana, Kingston, Bermuda, Cancun, San Jose (Lima), Orlando, Tampa, Male, Mauritius, Cape Town, Toronto, New York (JFK), Fort Lauderdale and Oakland is available for selected outbound travel dates between 8 September 2017 and 16 September 2018.
c. Travel in World Traveller from London Heathrow to Boston, Chicago, Denver, Houston, Las Vegas, Los Angeles, Miami, New Orleans, New York (John F. Kennedy and Newark), San Francisco, San Jose (California), Washington, Baltimore and Calgary is available for selected outbound travel dates between 29 October 2017 to 23 March 2018.
d. Travel in World Traveller from London Heathrow to Bangkok, Hong Kong, Abu Dhabi, Muscat, Bahrain, Tehran, Dubai, Johannesburg, Cape Town, Abuja, Lagos, Nairobi, Accra, Beijing, Shanghai, Moscow and Tokyo is available for selected outbound travel dates between 18 September 2017 and 30 June 2018.
a. The following routes require a Saturday night stay: London Gatwick to Barbados, Antigua, St Kitts, Tobago, St Lucia, Grenada, Providenciales, Port of Spain, Punta Cana, Kingston, Bermuda, Cancun, San Jose, Lima, Orlando, Tampa, Male, Mauritius, Cape Town, New York, (JFK), Fort Lauderdale and Oakland. b. The following routes require a Saturday night stay: London Heathrow to Boston, Chicago, Denver, Las Vegas, Los Angeles, Miami, New Orleans, New York (John F. Kennedy and Newark), San Francisco, San Jose, Washington, Baltimore and Calgary. c. The following routes require a Saturday night stay: London Heathrow to Bangkok, Hong Kong, Johannesburg, Cape Town, Abuja, Lagos, Nairobi, Accra, Beijing, Shanghai, Moscow and Tokyo. d. The following routes require a minimum 3 night stay: London Heathrow to Abu Dhabi, Bahrain, Tehran and Dubai. Maximum stay periods may apply on selected routes. 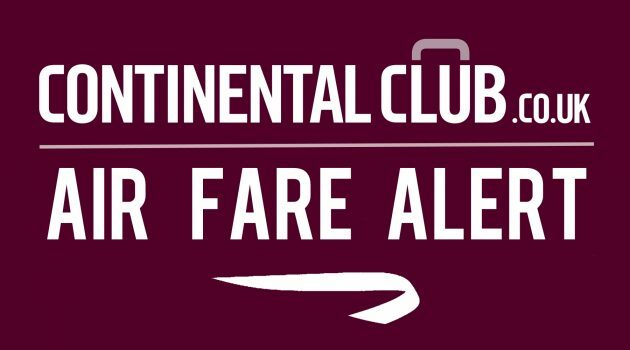 Some fares may be subject to advance booking restrictions. They will be highlighted at the time of booking on ba.com. a. For all travel on the following routes an advance purchase of 7 days is required: London Gatwick to Barbados, Antigua, St Kitts, Tobago, St Lucia, Grenada, Providenciales, Port of Spain, Punta Cana, Kingston, Bermuda, Cancun, San Jose, Lima, Orlando, Tampa, Male, Mauritius, Cape Town, Fort Lauderdale and Oakland. b. For all travel on the following routes an advance purchase of 7 days is required: London Heathrow to Bangkok, Hong Kong, Abu Dhabi, Muscat, Bahrain, Tehran, Dubai, Johannesburg, Cape Town, Abuja, Lagos, Nairobi, Accra, Beijing, Shanghai and Moscow. c. For all travel on the following routes an advance purchase of 120 days is required: London Heathrow to Boston, Chicago, Denver, Las Vegas, Los Angeles, Miami, New Orleans, New York (John F. Kennedy and Newark), San Francisco, San Jose, Washington, Baltimore and Calgary. Individual travel dates are subject to availability. Promotional travel is subject to availability and capacity control, and availability may be limited over bank holidays and peak periods. The number of seats available on each flight at a particular fare may be restricted and it is possible that seats allocated to a particular fare on a particular flight may be fully booked even though seats are still available for sale at a different fare or booking class in the same cabin. The promotion applies only to flights on the routes specified in the table at ba.com/sale. The promotion does not apply to travel on any other BA franchisee or alliance airline, or any flight operated by a codeshare partner. All promotional flights are non-refundable. Flights booked in World Traveller and World Traveller Plus are changeable for a £150 fee (plus any additional fare for changes). Changes are not allowed on the day of departure. The date of departure is determined by the local date and time of the departing country. Promotional travel must be started and finished in the UK. Promotion does not apply group bookings (10 or more passengers in one booking). Weekend departures: Restrictions and supplements may apply on certain routes. These will be highlighted at the time of booking on ba.com. Final prices for all sale routes are shown within ba.com. Regional connections to London Heathrow or London Gatwick for travel to onward long haul destinations are excluded from this promotion, and vary in cost depending on regional airport. Payment must be made within 3 days after reservation are made or at least 3 days before departure whichever is earlier. If booking direct with BA via telephone on 0844 493 0775 or online at ba.com, payment by cheque will not be accepted. Bookings made over the telephone will carry a non-refundable £10 offline booking fee per person per ticket. Calls cost up to 5p per minute from a BT landline. Calls from mobiles may vary. Please note that some credit card issuers will not permit payment for air travel from the UK to be paid for on credit cards that they have issued if the billing address is outside the UK. BA does not accept responsibility for the refusal of any card issuer to allow use of its cards for payment. Prices are based on debit card payments. BA applies a charge for other payment methods, including credit cards and Paypal. No cash or credit alternative is available. This promotion has no cash value. This promotion cannot be used in conjunction with any other offer, promotion, or deal, including but not limited to: (i) redemption bookings; (ii) travel agent or industry discount fares (including but not limited to agency, industry and employee discounts), inclusive holidays, group discount fares, children/infant fares, or senior citizen fares, whether or not booked in the qualifying classes; (iii) bookings made with vouchers (eg shareholder’s discount vouchers); or (iv) upgrades. 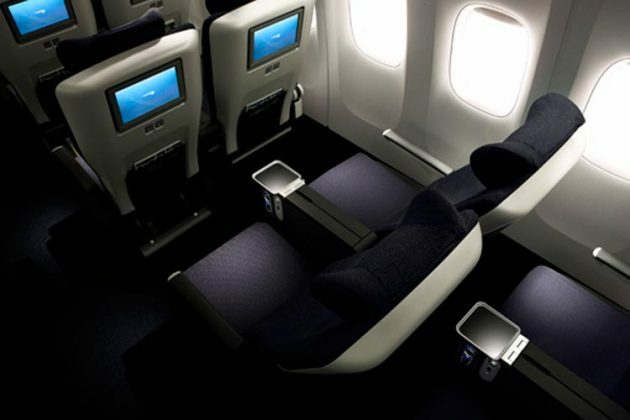 All travel on BA flights is subject to BA’s General Conditions of Carriage for Passengers and Baggage (see ba.com) and the notice and conditions of contract contained on each ticket and itinerary. Travel on services operated by Iberia and American Airlines are subject to the conditions of carriage of the relevant carrier. BA reserves the right to cancel or amend without notice the terms of this promotion and any tickets or vouchers issued free or at promotional prices in the event of major catastrophe, war, civil or military disturbance, strike, earthquake or any actual anticipated or alleged breach of any applicable law or regulation or any other circumstances beyond the reasonable control of BA. British Airways is not liable for the reproduction of this offer or indirect access via third party websites of these terms and where such reproduction misstates or omits any of the information or terms and conditions connected with this promotion. This promotion, and any non contractual obligations arising out of or in connection with it, is governed by English law and is subject to the exclusive jurisdiction of the English Courts. Promoter is British Airways Plc (“BA”), Waterside, PO Box 365, Harmondsworth, UB7 0GB. Registered No. 1777777 England. All prices valid from London Gatwick, London Heathrow and London City airports. a. Travel in Club Europe from London Gatwick to Lanzarote, Malaga, Alicante, Amsterdam, Bordeaux, Bari, Cagliari, Dalaman, Dubrovnik, Edinburgh, London, Faro, Friedrichshafen, Funchal, Fuerteventura, Glasgow, Grenoble, Genoa, Geneva, Heraklion, Ibiza, Innsbruck, Larnaca, Limoges, Malta, Naples, Nice, Nuremburg, Oporto, Paphos, Pisa, Marrakech, Rhodes, Rome, Thessaloniki, Seville, Salzburg, Tenerife, Turin, Venice, Valencia and Verona is available for selected outbound travel dates between 31 August 2017 and 8 July 2018.
b. Travel in Club World from London Gatwick to Barbados, Antigua, St Kitts, Tobago, St. Lucia, Grenada, Port of Spain, Providenciales, Punta Cana, Cancun, Kingston, Lima, San Jose, Orlando, Tampa, Cape Town Bermuda, Fort Lauderdale, Oakland, Mauritius, Toronto, Las Vegas and New York (John F. Kennedy) is available for selected outbound travel dates between 15 September 2017 and 16 September 2018.
c. Travel in Club Europe from London Heathrow to Athens, Amsterdam, Barcelona, Basel, Belfast, Berlin, Bilbao, Billund, Bologna, Budapest, Brussels, Copenhagen, Dublin, Dusseldorf, Edinburgh, Faro, Frankfurt, Geneva, Gibraltar, Glasgow, Gothenburg, Grenoble, Hamburg, Hanover, Istanbul, Kiev, Krakow, Larnaca, Lisbon, Luxembourg, Lyon, Malaga, Manchester, Marseille, Munich, Newcastle, Nice, Oslo, Palermo, Palma Mallorca, Paris, Pisa, Prague, Reykjavik, Rome, St Petersburg, Stuttgart, Toulouse, Turin, Venice, Vienna and Zurich is available for selected outbound travel dates between 2 October 2017 and 18 March 2018.
d. Travel in Club World from London Heathrow to Atlanta, Austin, Boston, Baltimore, Chicago, Denver, Dallas (Forth Worth), New York (Newark and John F. Kennedy), Houston, Las Vegas, Los Angeles, Mexico City, Miami, New Orleans, Philadelphia, Phoenix, San Diego, Seattle, San Francisco, San Jose, Washington, Montreal, Toronto, Vancouver and Calgary is available for selected outbound travel dates between 21 November 2017 and 6 August 2018.
e. Travel in Club World from London Heathrow to Abu Dhabi, Beirut, Bangkok, Bengaluru, Mumbai, Cairo, Cape Town, Delhi, Dubai, Hong Kong, Tokyo (Haneda and Narita), Hyderabad, Seoul, Tehran, Johannesburg, Kuala Lumpur, Chennai, Muscat, Nairobi, Beijing, Shanghai, Singapore and Sydney is available for selected outbound travel dates between 14 September 2017 and 30 June 2018.
f. Travel in Club Europe from London City to Ibiza, Venice, Prague, Malaga, Chambery, Geneva, Salzburg, Palma, Frankfurt, Paris, Reykjavik and Amsterdam is available for selected outbound travel dates between 12 September 2017 and 23 March 2018.
a. The following routes require a minimum 2 night stay: London Gatwick to Lanzarote, Malaga, Alicante, Amsterdam, Bordeaux, Bari, Cagliari, Dalaman, Dubrovnik, Edinburgh, London, Faro, Friedrichshafen, Funchal, Fuerteventura, Glasgow, Grenoble, Genoa, Geneva, Heraklion, Ibiza, Innsbruck, Larnaca, Limoges, Malta, Naples, Nice, Nuremburg, Oporto, Paphos, Pisa, Marrakech, Rhodes, Rome, Thessaloniki, Seville, Salzburg, Tenerife, Turin, Venice, Valencia and Verona. b. The following routes require a Saturday night stay: London Gatwick to Barbados, Antigua, St Kitts, Tobago, St. Lucia, Grenada, Port of Spain, Providenciales, Punta Cana, Cancun, Kingston, Lima, San Jose, Orlando, Tampa, Cape Town Bermuda, Fort Lauderdale, Oakland, Mauritius and New York (John F. Kennedy). c. The following routes require a Saturday night stay: London Heathrow to Athens, Amsterdam, Barcelona, Basel, Belfast, Berlin, Bilbao, Billund, Bologna, Budapest, Brussels, Copenhagen, Dublin, Dusseldorf, Edinburgh, Faro, Frankfurt, Geneva, Gibraltar, Glasgow, Gothenburg, Grenoble, Hamburg, Hanover, Istanbul, Kiev, Krakow, Larnaca, Lisbon, Luxembourg, Lyon, Malaga, Manchester, Marseille, Munich, Newcastle, Nice, Oslo, Palermo, Palma Mallorca, Paris, Pisa, Prague, Reykjavik, Rome, St Petersburg, Stuttgart, Toulouse, Turin, Venice, Vienna and Zurich. d. The following routes require a Saturday night stay: London Heathrow to Atlanta, Austin, Boston, Baltimore, Chicago, Denver, Dallas (Forth Worth), New York (Newark and John F. Kennedy), Houston, Las Vegas, Los Angeles, Mexico City, Miami, New Orleans, Philadelphia, Phoenix, San Diego, Seattle, San Francisco, San Jose, Washington, Montreal, Toronto, Vancouver and Calgary. e. The following routes require a Saturday night stay: London Heathrow to Abu Dhabi, Beirut, Bangkok, Bengaluru, Mumbai, Hyderabad, Cairo, Cape Town and Dubai. f. The following routes require a Saturday night stay: London City to Ibiza, Venice, Prague, Malaga, Chambery, Geneva, Salzburg, Palma, Frankfurt, Paris, Reykjavik and Amsterdam. a. For all travel on the following routes an advance purchase of 14 days is required: London Gatwick to Barbados, Antigua, St Kitts, St. Lucia, Tobago, Grenada, Port of Spain, Providenciales, Punta Cana, Cancun, Kingston, Lima, San Jose, Orlando, Tampa, Cape Town Bermuda, Fort Lauderdale, Oakland and Mauritius. b. For all travel on the following routes an advance purchase of 50 days is required: London Heathrow to Atlanta, Austin, Boston, Baltimore, Chicago, Denver, Dallas (Forth Worth), New York (Newark and John F. Kennedy), Houston, Las Vegas, Los Angeles, Mexico City, Miami, New Orleans, Philadelphia, Phoenix, San Diego, Seattle, San Francisco, San Jose, Washington, Montreal, Toronto, Vancouver and Calgary. c. For all travel on the following routes an advance purchase of 14 days is required: London Heathrow to Abu Dhabi, Beirut, Bangkok, Bengaluru, Mumbai, Hyderabad, Cairo, Cape Town and Dubai. All promotional flights are non-refundable. Flights booked in Club Europe, Club World and First are changeable for a £150 fee (plus any additional fare for changes). Changes are not allowed on the day of departure. The date of departure is determined by the local date and time of the departing country. All travel on BA flights is subject to BA’s General Conditions of Carriage for Passengers and Baggage (see ba.com) and the notice and conditions of contract contained on each ticket and itinerary. Travel on services operated by Iberia, American Airlines and Japan Airlines are subject to the conditions of carriage of the relevant carrier.